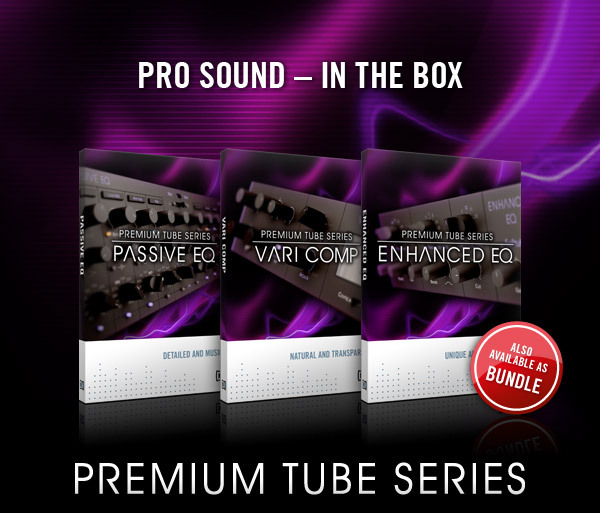 Native Instruments (in collaboration with Softube) has announced their Premium Tube Series plugins which consists of a Passive Eq, Enhanced Eq and Vari Comp. Check out the videos and audio demos in NI's newsletter below. Download demos of the Passive Eq plugin here. The Vari Comp here and the Enhanced Eq here. (Demos freeze after 30 mins of use). 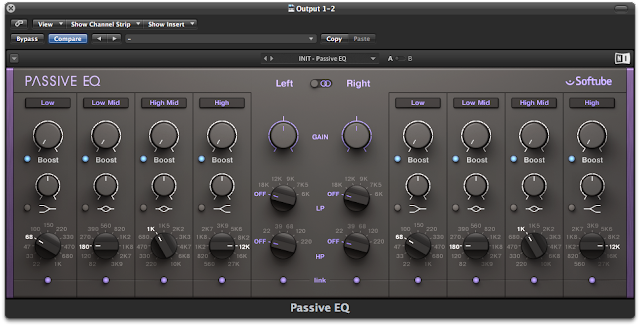 I downloaded the demos and did a quick comparison with NI's Passive Eq and UA's Massive Passive Eq plugins. I found them to be similiar with NI's being slightly smoother on top but UA's having more girth. The PREMIUM TUBE SERIES evokes the high-end sound of sought-after outboard gear, hauled into the present day and into your computer for boutique sound plus ultimate ease-of-use. PASSIVE EQ, VARI COMP and ENHANCED EQ deliver rich, musical sound enhancement, intricately modeled by the experts at Softube. Get the secret weapons of the top studio engineers completely within the box. And, for the first time, as native plugins. Prices start at $79 / 69 €, a special bundle offer is also available. Watch the video and visit the NI Online Shop today. Exquisitely modeled, the PASSIVE EQ captures the rich, natural sound and presence of a tube-powered studio legend. 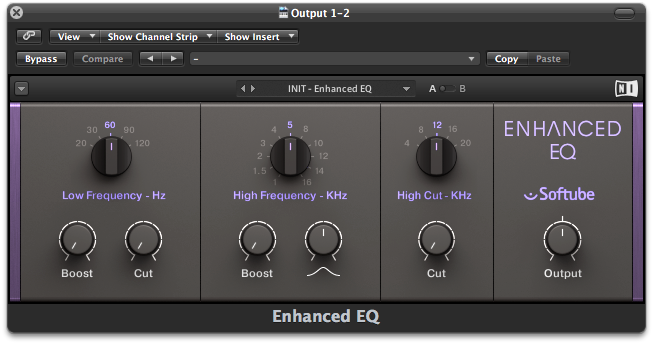 A bona fide all-purpose EQ that sounds musical even at extreme settings and doubles as an incredible mastering tool. An all-purpose, easy-to-use compressor – equally well-suited to individual tracks and stereo sum. 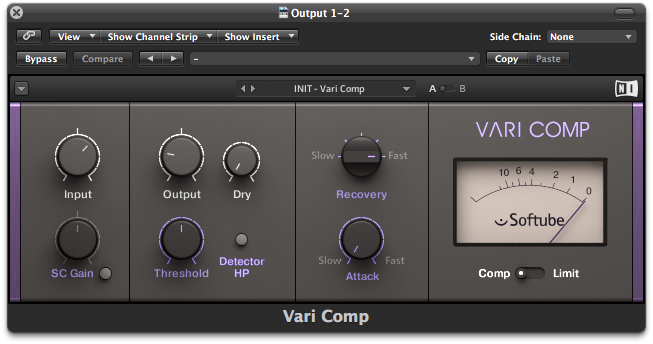 ‘Vari’ because in limit mode, this compressor reacts to the incoming signal, adjusting the compression ratio automatically between 4:1 and 20:1. The sound remains natural and transparent at all times. A truly unique EQ, this effect adds warmth, body and definition to the low end – perfect for kick drums and bass. Applied to the midrange, it adds clarity, helping synths and drum loops find their place in the mix.